LatinaLista — In a follow-up to yesterday’s post Texas Latino school children just got the biggest slap down from the one state agency supposed to be their strongest advocate, LatinaLista was made aware of a petition started at Change.org, by Tony Diaz of LibroTraficante, that demands the Texas Education Agency removes the textbook Mexican American Heritage by Momentum Instruction from being considered as a choice for public schools. 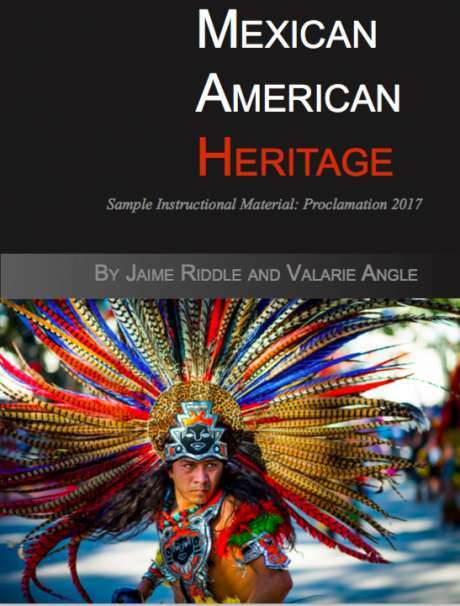 The Texas State Board of Education has posted a proposed textbook for Mexican American Studies that is racist, poorly written, and just plain wrong. At its most basic level, the textbook MEXICAN AMERICAN HERITAGE overlooks entire parts of history, incorrectly uses terms, and does not site any credible experts in the field. Worse, the book conveys racist stereotypes about Mexican Americans, Chicanos, Native Americans, and others. This is just one example of a direct quotation from the book: “Chicanos, on the other hand, adopted a revolutionary narrative that opposed Western civilization and wanted to destroy this society.” There are more examples, many more. In that case publishers revised the reference. The current textbook-Mexican American Heritage- contains even more errors, so many so that it is beyond revision. It must simply be eliminated from the list of offerings. * We demand that the racist text book, MEXICAN AMERICAN HERITAGE created by Momentum Instruction, be taken off the list of proposed textbooks for Texas classrooms. * We demand that the Texas Board of Education re-open the call for textbooks for Mexican American Studies, African American Studies, Native American Studies, and Asian American Studies. We must unite for the elimination of the dissemination of discrimination in education. We will keep you apprised of our progress and up coming protests. Thank you!